Pattaya features one of the most beautiful locations in South East Thailand. 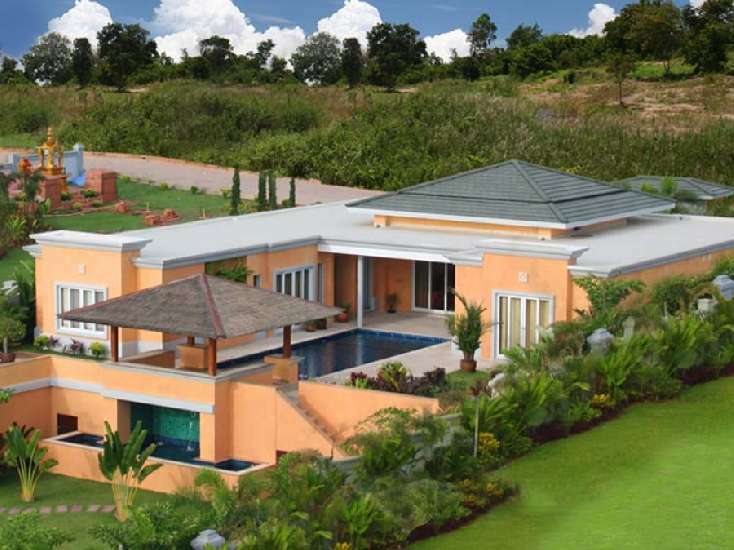 The exclusive villas are located on one of the few hills with unrestricted view on the <?xml:namespace prefix = st1 ns = "urn:schemas-microsoft-com:office:smarttags" />gulf of Thailand, the surrounding islands, the skyline of Pattaya and Jomtien. At this tropical paradise with much privacy, atmosphere, lush gardens, pools and beautiful sea view, everyday facilities are close at hand. In just 5 to 10 minutes you can reach golf courses, shopping malls, a wide selection of restaurants, the beaches of Pattaya and Jomtien and of course downtown Pattaya. Clients have the option to chose from over five un-believable villa types, ranging from 2 - 8 Bed.